Hindustan Interiors is one of the leading service providers in the field of Commercial Interior Designing services in Delhi – NCR covering areas like Dwarka, Vasant Kunj, Hauz Khas ,Rajouri Garden, Punjabi Bagh, Defence Colony ,Gurgaon. We have appointed a team of qualified, creative and innovative interior designers, who have adequate experience in this field of interior designing. We are highly appreciated by our clients for adding charm to their commercial area decor and utilization of every available space in an effective manner. We present the layout of the entire space on the spot for which the client requires interior designing service and proceed with the execution of the design plan after the final approval from the customer. 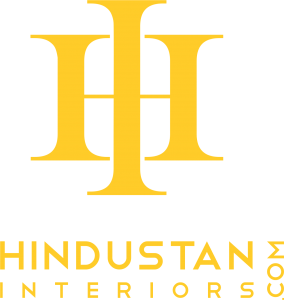 Hindustan Interiors is one of the leading service providers in the field of Residential Interior Designing services in Delhi – NCR covering areas like Dwarka, Vasant Kunj, Punjabi Bagh, Defence Colony ,Gurgaon. We have appointed a team of qualified, creative and innovative interior designers, who have adequate experience in this field of interior designing. We are highly appreciated by our clients for adding charm to their home decor and utilization of every available space in an effective manner. We present the layout of the entire space on the spot for which the client requires interior designing service and proceed with the execution of the design plan after the final approval from the customer. Hindustan Interiors is one of the leading names engaged in offering a wide range of services with Bathroom Renovation in West Delhi, Gurgaon, Faridabad and Delhi – NCR. If you are redesigning your design bathroom renovation, here is a whole host of styles to turn your best designing bathroom renovation services into a personalised and relaxing place. Our bathroom renovation ideas are provided to comprehend and meet the emerging requirements of clients. These bathroom renovation services are executed by our proficient personnel, who utilize their commendable knowledge and rich experience and work with your unique situation and signature tastes to make it a usable and attractive space. Hindustan Interiors is a renowned service provider of designing Modular Kitchen in West Delhi, Gurgaon, Faridabad and Delhi – NCR. Our offered modular kitchen are both stylish and trendy. These modern modular kitchens are made using finest quality materials such as prelaminated particle board, MDF with either polish or paint and solid wood. The accessories of these modular units are made of rust-proof high quality stainless steel, whereas the hardware (hinges, knobs, bolts, etc) are imported. The modular kitchen consists of Base Units, Wall Units and Tall Units which have storage accessories of different measurements. These accessories are capable to hold small appliances, kitchen utensils and storage containers. Our products are tested at different levels under various quality parameters so that any defective piece is not delivered to the clients. The matchless quality of products and customer-centric approach; has enabled us to win the heart of our clients and gain complete customers’ satisfaction.